Brazilian-French architect Elizabeth de Portzamparc will be keynote speaker at the second edition of the Malta Architecture and Spatial Planning Conference, which is being organised by the Planning Authority on October 4. Brazilian-French architect Elizabeth de Portzamparc. The theme chosen for this year’s conference is ‘Planning for liveable places’. Key experts will debate the big issues related to the challenges that are affecting land use in Malta. At the forefront of Malta’s agenda, the conference will discuss the need to create the right social, economic and environmental conditions for liveable places. Ms de Portzamparc will show, through her dual sociological and architectural approach, how she manages to combine the requirements of the social, urban and ecological aspects within her projects. Her work is characterised by innovative flexibility, architectural layouts designed to foster sociability on the scales of both the building and the city, giving much importance to the total spatial interconnections. 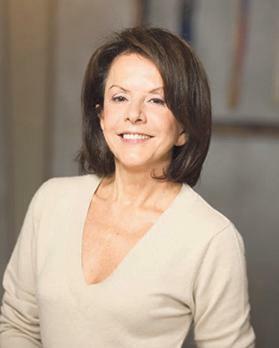 Today, some of her major architectural projects include the iconic railway station of Le Bourget, the Grand Documentary Equipment of Aubervilliers, the Musée de la Romanité in Nîmes and projects for cultural facilities and building for hotels and houses in France, Brazil, Morocco, China and the US. Renowned architectural writer Philip Jodidio says the range and breath of this architect’s projects places her at the forefront of contemporary French architecture, but her international background and designs for other countries also make a case for her emergence on the larger stage of ‘star’ architects. The authority has invited a line-up of foreign and local experts to address the conference, including Mary Keeling (IBM), Stephen Hilton (Bristol Futures GlobaL), Jerome Frost (ARUP), Mark Atherton (Greater Manchester Combined Authority), Jacco Schuurkamp (Department of City Management, Public Space and Green Infrastructure, The Hague), David Harley (Scottish Environment Protection Agency), Andrew Azzopardi (University of Malta), David Sislen (World Bank), Gerald Muscat (European Investment Bank), Angelique Spina (PwC Malta), John Acres (Royal Town Planning Institute – UK) and Simone Vella Lenicker (Editor – The Architect). The conference, which will be held at the Dolmen Hotel in Qawra, will also serve as a forum for networking and idea generation. Reservations can be made through the authority’s online portal at www.pa.org.mt. All proceeds from the conference will go towards the Malta Autism Centre.